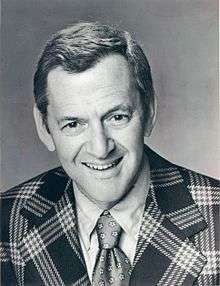 Tony Randall (born Aryeh (Arthur) Leonard Rosenberg; February 26, 1920 – May 17, 2004) was an American actor, producer, and director, best known for his role as Felix Unger in the television adaptation of Neil Simon's play The Odd Couple. Randall was born to a Jewish family, in Tulsa, Oklahoma, the son of Julia (née Finston) and Mogscha Rosenberg, an art and antiques dealer. He attended Tulsa Central High School. Randall then served for four years with the United States Army Signal Corps in World War II, refusing an entertainment assignment with Special Services. After the war, he worked at the Olney Theatre in Montgomery County, Maryland before heading back to New York City. Randall appeared in minor roles on Broadway and supporting roles on tours. In the 1940s one of his first jobs was playing "Reggie" on the long-running radio series I Love a Mystery. In 1946, he was cast as one of the brothers in a touring production of Katharine Cornell's revival of The Barretts of Wimpole Street. His first major role in a Broadway hit was in Inherit the Wind in 1955 portraying Newspaperman E. K. Hornbeck (based on real life cynic H. L. Mencken). In 1958, he played the leading role in the musical comedy Oh, Captain!, taking on a role originated on film by Alec Guinness. Oh, Captain! was a financial failure, but Randall received a Tony Award nomination for his legendary dance turn with prima ballerina Alexandra Danilova. His first major television role was as history teacher Harvey Weskit in Mister Peepers (1952–1955). He then starred in an NBC-TV special The Secret of Freedom, which was filmed during the summer of 1959 in Mount Holly, New Jersey, and broadcast on the network during the fall of 1959 and again in early 1960. Randall played a dramatic role in a 1962 episode of The Alfred Hitchcock hour called Hangover in which he played an alcoholic who strangles his wife in a drunken rage. He returned to television in 1970 as Felix Ungar in The Odd Couple, opposite Jack Klugman, a role lasting for five years. The names of Ungar's children on The Odd Couple were Edna and Leonard, named for Randall's sister and Randall himself. In 1974, Randall and Jack Klugman appeared in television spots endorsing a Yahtzee spinoff, Challenge Yahtzee. They appeared in character as Felix and Oscar, and the TV spots were filmed on the same set as The Odd Couple. Later he starred in The Tony Randall Show, playing a Philadelphia judge, and Love, Sidney. In the TV movie that served as the latter show's pilot, Sidney Shorr was written as a gay man, but his character's sexuality was made ambiguous when the series premiered. Randall refused to star in any more television shows, favoring the Broadway stage as his medium. Randall was the host for the October 30 to November 2, 1987 free preview of HBO's short-lived premium channel Festival. He starred as nearly all of the leading characters in the 1964 classic film 7 Faces of Dr. Lao, which was based on The Circus of Dr. Lao by Charles G. Finney. The film received an Oscar for William J. Tuttle's makeup artistry. His film roles included Oh, Men! Oh, Women! (1957), Will Success Spoil Rock Hunter? (1957), The Mating Game (1959), Let's Make Love (1960), Boys' Night Out (1962), The Brass Bottle (1964), Hello Down There (1969), Scavenger Hunt (1979), The King of Comedy (1983) and Gremlins 2: The New Batch (voice; 1990), and co-starred in all three Doris Day/Rock Hudson romps, Pillow Talk (1959), Lover Come Back (1961) and Send Me No Flowers (1964). In 1991, he founded the National Actors Theatre (ultimately housed at Pace University in New York City) where he starred in A Christmas Carol (1994), The Inspector General (1994), Three Men on a Horse (1993), and gave his final stage performance in Luigi Pirandello's Right You Are (If You Think You Are) in 2003. Randall was a frequent guest on The Tonight Show Starring Johnny Carson and often spoke of his love of opera, saying it was due in no small part to the salaciousness of many of the plotlines. He also admitted to sneaking tape recorders into operas to make his own private recordings. He chided Johnny Carson for his chain-smoking, and was generally fastidious. At the time of his death, Randall had appeared as a guest on The Tonight Show 105 times, more often than any other celebrity. Randall, along with John Goodman and Drew Barrymore, was one of the first guests on the debut episode of Late Night with Conan O'Brien on 13 September 1993. He would also appear in Conan's 5th Anniversary Special with the character PimpBot 5000. Randall was also a frequent guest on both of David Letterman's late-night shows Late Night with David Letterman and the Late Show with David Letterman, making 70 appearances, according to his obituary in the Washington Post; Letterman said that Randall was one of his favorite guests, along with Regis Philbin. On November 7, 1994, Randall appeared on the game show Jeopardy!, as part of a Special Edition Celebrity Jeopardy! episode, playing on behalf of the National Actors Theatre. He came in second place after General Norman Schwarzkopf, Jr. and before Actress Stefanie Powers, with a final score of $9,900. In 1973, Tony Randall and Jack Klugman recorded an album called The Odd Couple Sings for London Records. Roland Shaw and The London Festival Orchestra and Chorus provided the music and additional vocals. The record was not a chart-topper but is a highly sought-after item for many Odd Couple fans. In keeping with his penchant for both championing and mocking the culture that he loved, during the Big Band era revival in the mid-1960s he produced a record album of 1930s songs, Vo Vo De Oh Doe, inspired by (and covering) The New Vaudeville Band's one-hit wonder, "Winchester Cathedral". He mimicked (and somewhat exaggerated) the vibrato style of Carmen Lombardo, and the two of them once sang a duet of Lombardo's signature song "Boo Hoo (You've Got Me Crying for You)" on The Tonight Show. Randall was married to Florence Gibbs from 1938 until her death from cancer on April 18, 1992. The following year, he said, "I wish I believed I'd see my parents again, see my wife again. But I know it's not going to happen." He remarried on November 17, 1995, to Heather Harlan, an intern in one of his theatrical programs. At the time, Tony was 75 years old and Heather 25. The couple lived in a Manhattan apartment and bought a vacation apartment, in Key Biscayne, in 2003. 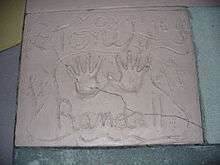 They had two children, Julia and Jefferson, and remained married until his death, in May 2004. In his book Which Reminds Me, he said that any publicity an actor generates should be about his work, not himself. "The public knows only one thing about me: I don't smoke." Randall died in his sleep on May 17, 2004, at NYU Medical Center of pneumonia that he had contracted following coronary bypass surgery in December 2003. His remains are interred at the Westchester Hills Cemetery in Hastings-on-Hudson, New York State. 1 2 Severo, Richard (19 May 2004). "Tony Randall, 84, Dies; Fussbudget Felix in 'Odd Couple,' He Loved the Stage". The New York Times. Retrieved 2010-10-21. 1 2 Shales, Tom (10 May 2004). "Tony Randall, Bright, Zestful And Always Endearing.". The Washington Post. Retrieved 2008-04-26. 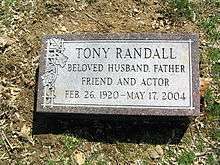 ↑ "Tony Randall Biography". filmreference. 2008. Retrieved 2008-12-11. ↑ Conner, Thomas (19 May 2004). "Randall's dreams of acting started in Tulsa". Tulsa World. ↑ "Behind the Mike" (PDF). Broadcasting. 21 (7): 39. 18 August 1941. ISSN 1068-6827. ↑ Mosel, Tad (1978). Leading Lady: The World and Theatre of Katharine Cornell. Little, Brown and Company. ISBN 0316585378. ↑ "J! Archive". Retrieved 2011-10-03. ↑ Ankeny, Jason. The Odd Couple Sings at AllMusic. Retrieved 2011/12/20. ↑ "Aging Actor Tony Randall Fantasizes About His Funeral". The Washington Post. September 25, 2003. ↑ Newman, Judith (28 January 2008). "The Odd Couple". Marie Claire. ISSN 0025-3049.